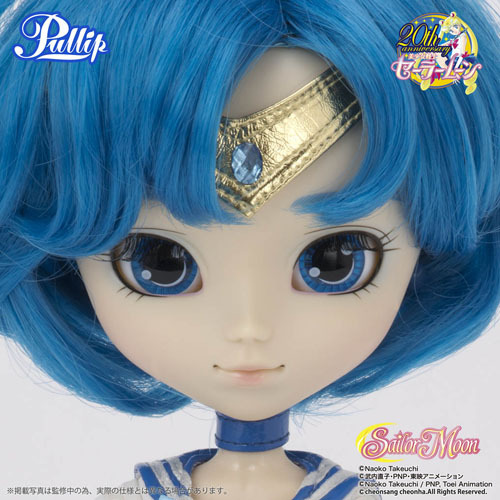 More details about the release of the second Pullip in the Sailor Moon collaboration series have finally surfaced today via Groove’s blog. 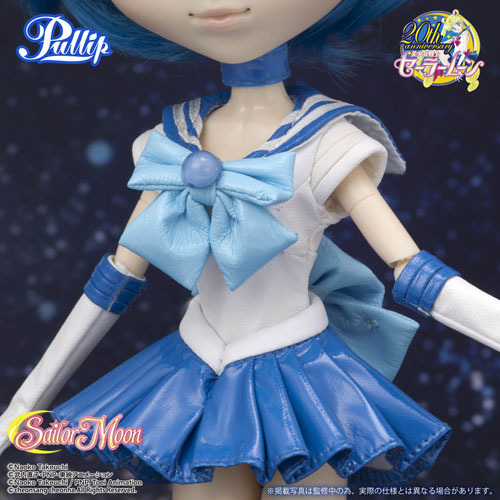 Sailor Mercury is set for a September release, October for us in the states and is priced at 16000 yen. 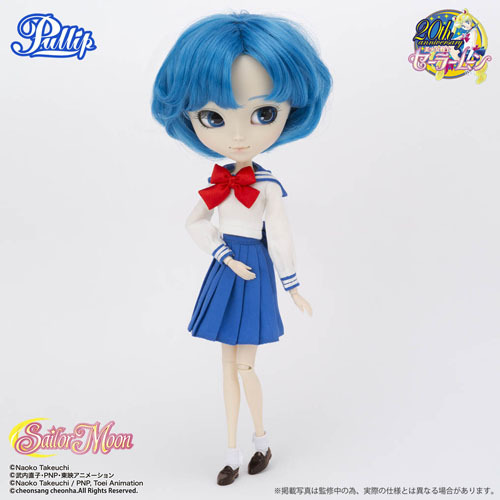 A second version of Sailor Mercury will also be available exclusively via Bandai shop, the exclusive version comes with Ami’s school uniform and is priced at 19000 yen. Of intellect and water, sailor Sailor, Sailor Mercury! The wearing in water, please reflect on! 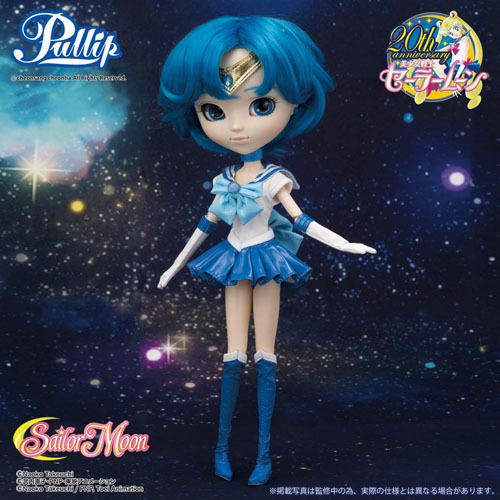 Sailor Mercury is the second sailor senshi so it is very fitting that she be the second doll released in the series, I knew if the series continued past Sailor Moon she or Tuxedo Mask would be the next doll. 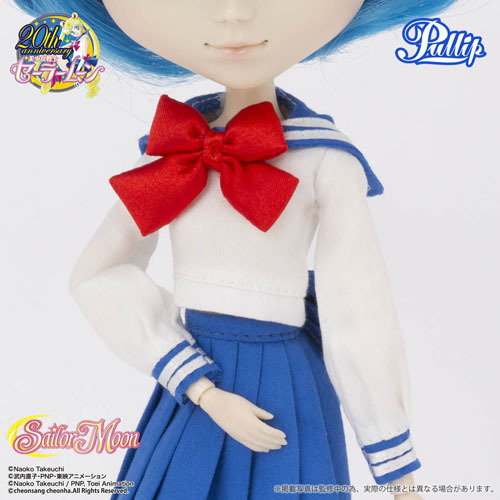 Sailor Mercury has been faithfully recreated in doll form, they even got her earrings right! I absolutely love the blue they chose for her hair, such a nice vibrant color. The face up looks nice, it’s clean and simple but it really suits Ami’s character. 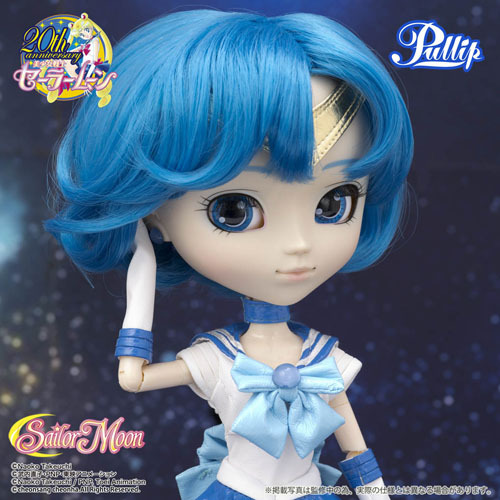 I really feel like Groove did a much better job at capturing the spirit of Sailor Mercury in doll form than they did with Sailor Moon. Close up detail of the bow, I wish they would have chose a better material to make the sailor fuku out of. 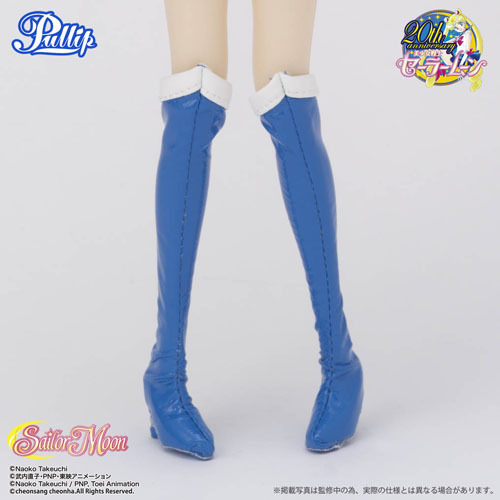 Close up of the boots, I really wish that Groove had opted for hard plastic boots versus the fabric ones I’m just not a fan. 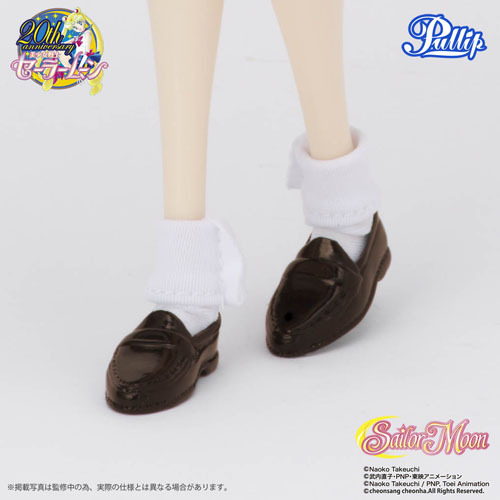 The premium version is available exclusively via Bandai shop and includes Ami’s school uniform, I had kind of hoped that Groove would eventually release the school uniforms as fashion packs. My initial thought about the Sailor Mercury Bandai exclusive was that her exclusive item would be the VR visor, as it’s a pretty cool accessory. 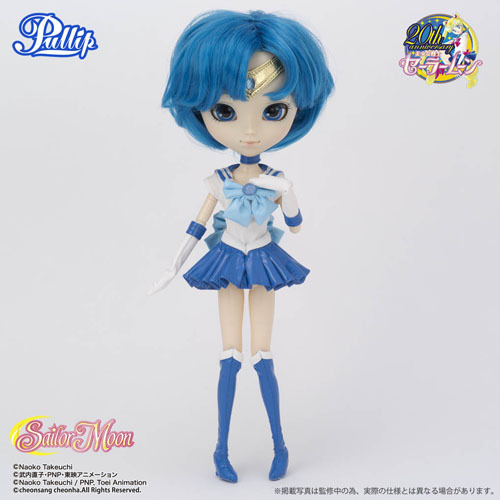 As it stands right now the standard version of Sailor Mercury does not appear to come with any accessories. Close up of the uniform, her bow is kind of messed up ^^;. Other than the bow being asymmetrical the uniform itself looks to be of pretty decent quality. Close up of the shoes. Verdict: I’m a Sailor Moon fan so I’ll probably buy though I haven’t bought Sailor Moon herself yet. 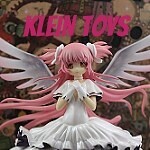 This entry was posted in Doll, Pullip and tagged bishoujo senshi sailor moon, Pullip, sailor mercury, sailor moon. Bookmark the permalink. This is unrelated to the post, but I wasn’t sure where else to contact you. Is something happening with DM? I can’t seem to have access to it.